Military green for a Military Wife…. 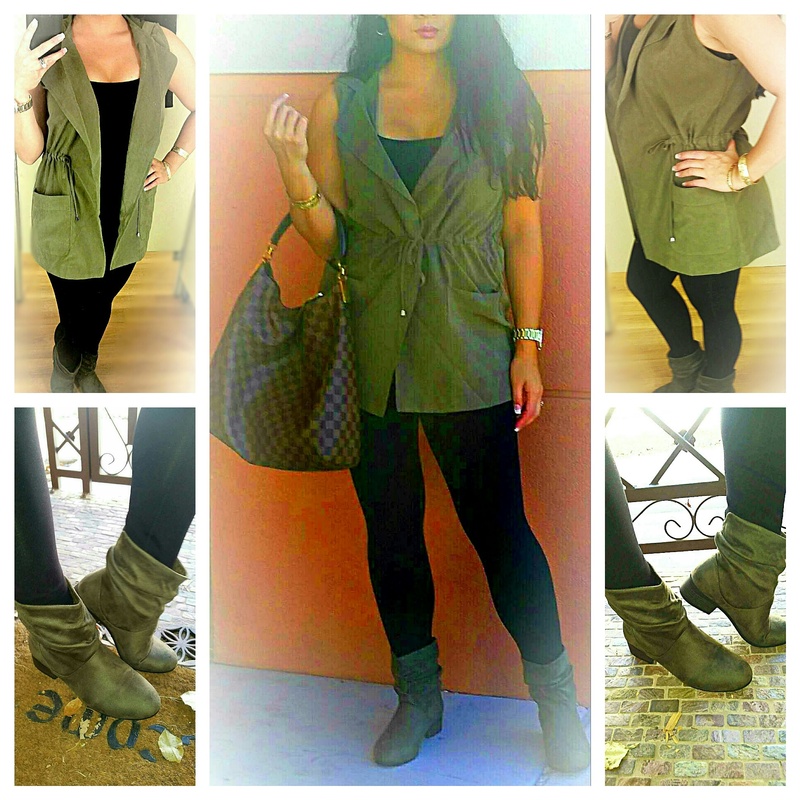 Today I wore my military green (or some like to say olive) hooded vest and matching suede booties that I purchased at a nice boutique out here in town. You can find one similar style above. I love my vest because it has drawstrings to show off my waist line. You can wear it open or tie it in the front like I have it shown in middle picture of my collage. I wore a black tank (because it is still hot out here) with some comfy black leggings and of course my arm candy, my Louis Vuitton hobo called the Portobello. This shoulder bag is great. It is big handbag that can fit alot in it. Only down fall for hobo’s is that everything get buried at the bottom and makes it hard to find things. Lol. Hope you all have a blessed day!